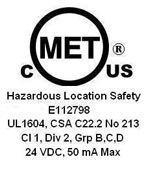 CMCP545 Thrust Position Transmitter Reliability Direct, Inc. Your Direct Source for Reliability, Maintenance, Test & Measurement! The CMCP545 Position (Thrust) Monitor is compatible with all manufactures Eddy Probe or Proximity Probe Systems with a voltage output of 100 or 200 mv/mil and is available in English and Metric scaling. The CMCP545 checks for faults, processes the vibration signal to determine overall amplitude, and outputs a 4-20 mA dc current that is proportional to range of 0 to 80 mils (40-0-40) or the Metric equivalent of 0 to 2 mm (1.0-0-1.0 mm). Internal Jumpers select normal motion towards or away from sensor. 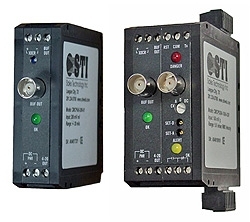 Combining transmitters with an existing PLC or DCS system results in a high density, low cost vibration monitoring system.